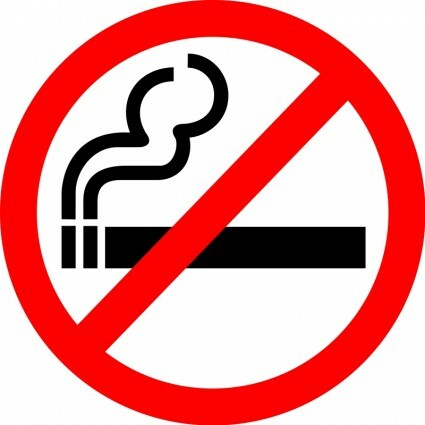 It sounds so simple when your significant other, dentist, or kids tell you that you need to stop smoking. But for those who have tried to quit, the task itself can seem monumental. If you're a smoker, it's no secret that quitting smoking can be one of the best things you can do for your health. Tobacco contributes to nearly one-third of all cancer cases in the U.S., and it kills nearly 500,000 people prematurely each year. According to the Oral Cancer Foundation, tobacco kills more Americans annually than AIDS, alcohol, cocaine, heroin, homicides, suicides, car accidents, and fires combined. At Christopher and Anne Thompson, DDS, we wanted to create a resource for those out there looking for extra help getting started with their quit plan. We'll share our top tips for to help you create a plan, and then we'll share some of our favorite online resources to help you stay on track. Quitting a habit is hard! It can help to go into with a bit of personal motivation. Why do you want to quit smoking? Think of one good reason, write it down, and stick it somewhere you'll see it each day. It can be any reason that compels you: your health, to have more time with your family, to save money. Come up with a reason that will help you stick to it. Smokers who stop lighting up are going to experience nicotine withdrawal symptoms. Spend some time reading up on what to expect, so you can anticipate things like being irritable, a restless night or two, or headaches. Outside stressors can make or break a person's resolve to stop smoking. Being around your friends who smoke can make it easier to relapse and have access to people you can bum a cigarette from. Before your quit day, let the people you interact with the most know of your intent to stop smoking and ask for their support. It can also be helpful to find an online or in-person support group to share your experiences with and to help build your support network. Quitting smoking can be a great opportunity to replace your unhealthy habit with a new, healthy hobby. One of the best things you can do while you're experiencing nicotine withdrawals is to stay busy. If you're physically able, take a jog in the afternoon to work though the desire to smoke, or go to the gym after work to take your mind off cravings for a little while. This is a good chance to work on the new you, the non-smoker you. Have Questions about Smoking Cessation? If you need help coming up with a smoking cessation plan, or if you just have questions about how smoking affects your oral health, please feel free to contact us. Our Turlock family dental practice would be happy to discuss your options, and help you be successful in your quest to quit cigarettes!